Created by a group of hockey moms from Langley, BC, “Jersey Day” began so Canadians could come together and wear a sports jersey in honour of the lives lost in the bus crash last Friday in rural Saskatchewan, which has now claimed the lives of 16 members of the Humboldt Broncos junior hockey team. “We want to show our support to the families of Humboldt Broncos. They are currently going through a tragedy that no family or community should experience. As hockey families we are here for you!” reads the Facebook page created for the event. 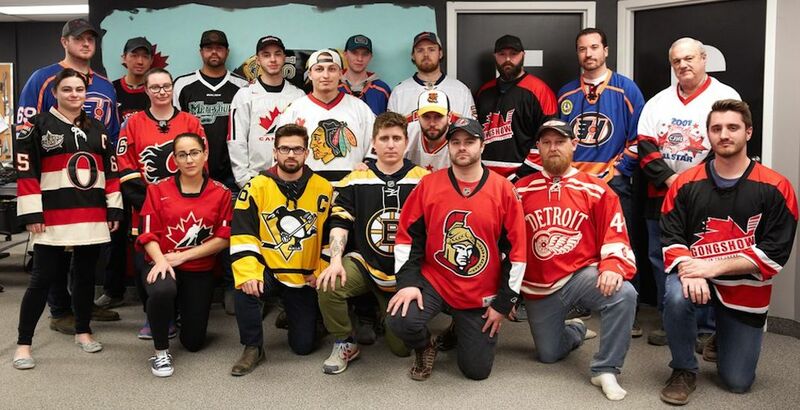 The symbolic gesture has picked up steam and now people from around the world are sharing photos of their jerseys on social media under the hashtag #jerseysforhumboldt. Here in Canada, these are some of the touching Jersey Day tributes online showing support for all who were touched by last week’s crash. Today, we wear a #JerseyForHumboldt to show support and honour the Humboldt Broncos. Tributes came in even as far as China. If you weren’t able to participate in Jersey Day but still want to show your support for those affected by the Humboldt crash, a GoFundMe page for the victims and families impacted by the crash was started. By Thursday morning, more than $9.6 million had been donated by over 115,000 people in just five days, making it one of the largest GoFundMe campaigns in the world. Globally, the largest GoFundMe campaign to date is the Time’s Up Legal Defense Fund, which has raised $21.5 million. Following that is the campaign for the Las Vegas Victims Fund, which raised $11.8 million, and the Stoneman Douglas Victims’ Fund, which raised $6.7 million.